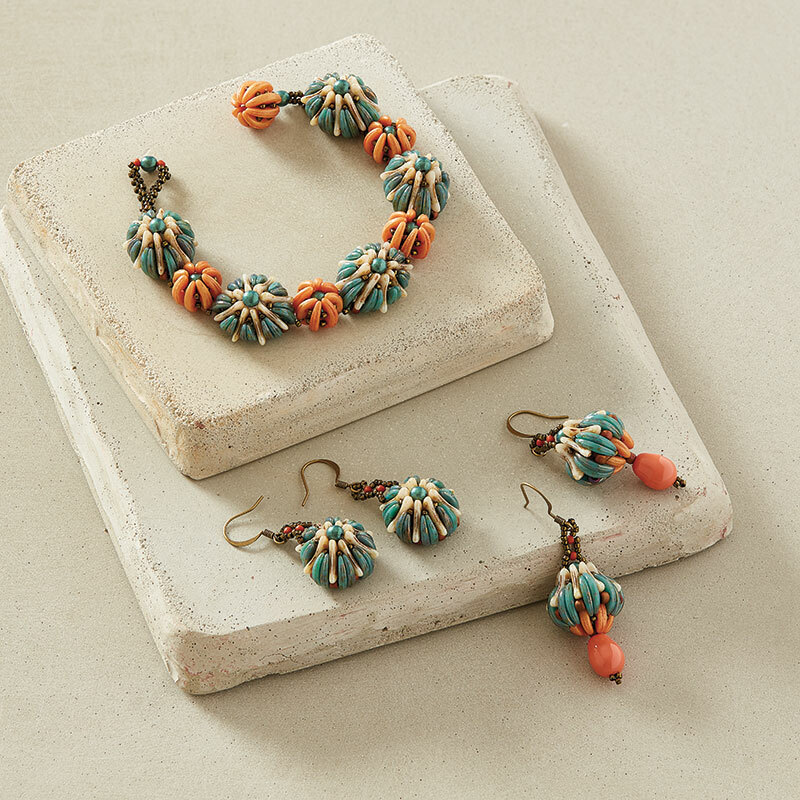 Use crescent beads to weave a stream of colorful sea urchin–inspired floral components to create Agnieszka Watts’s Ocean Flowers Bracelet. 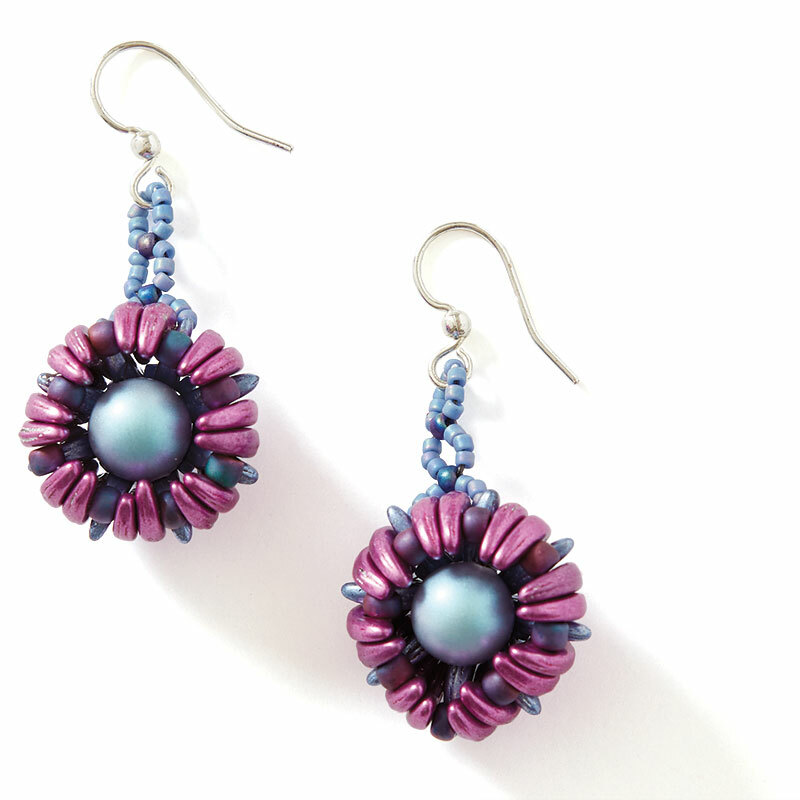 Find this pattern today in Beadwork August/September 2018. 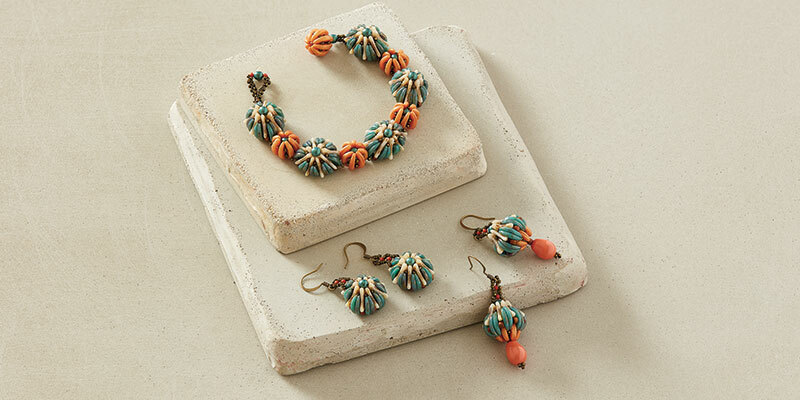 Emphasize the texture of the components by experimenting with 2–3 different colors of crescent beads. 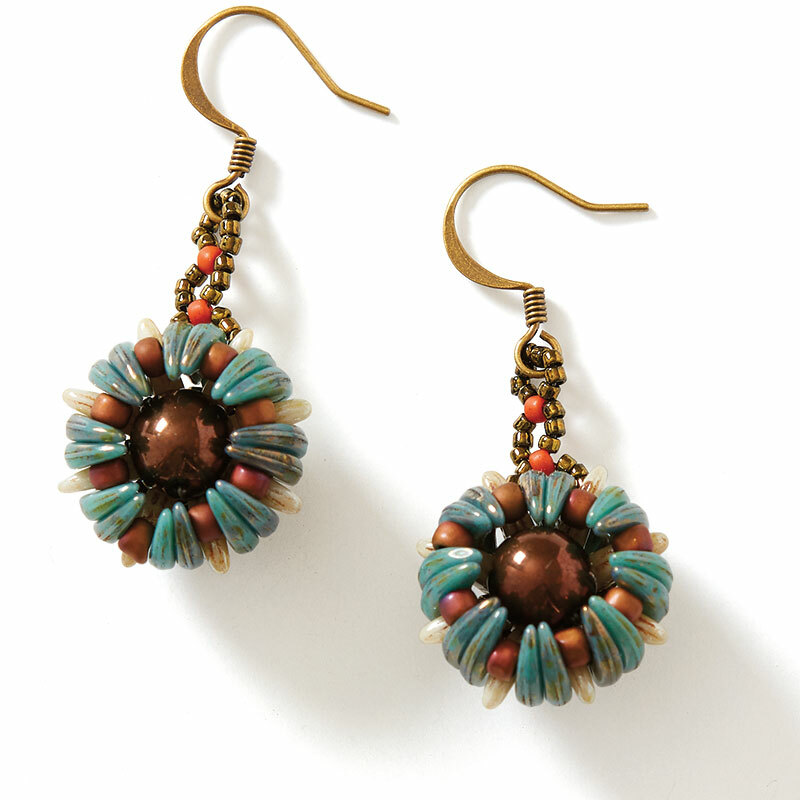 Create matching earrings out of two large components. 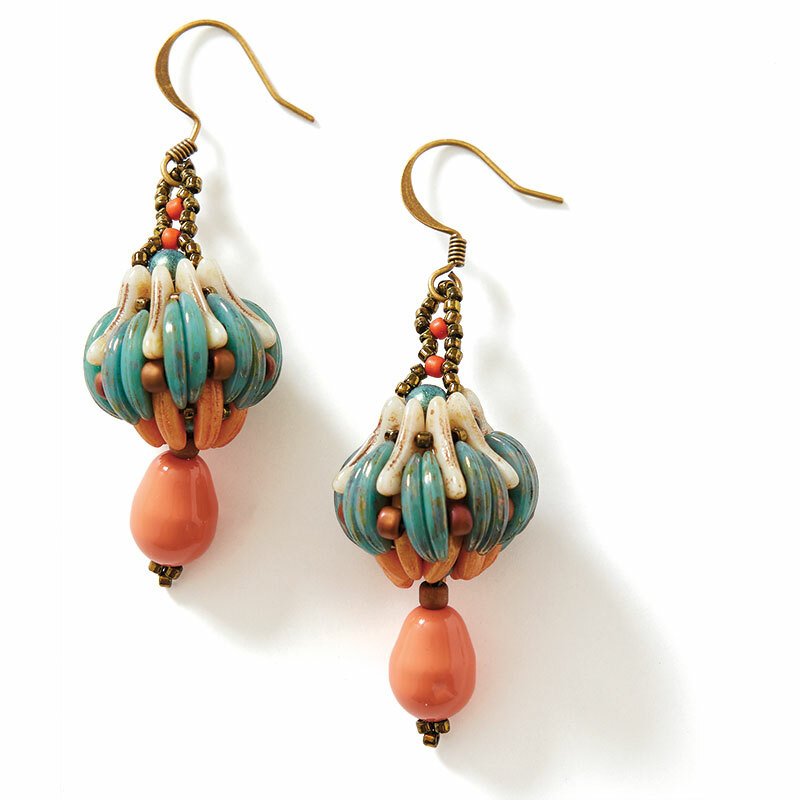 AGNIESZKA WATTS is a jewelry designer and teacher. She resides in Lemont, Illinois, but also spends time living in her home country, Poland. 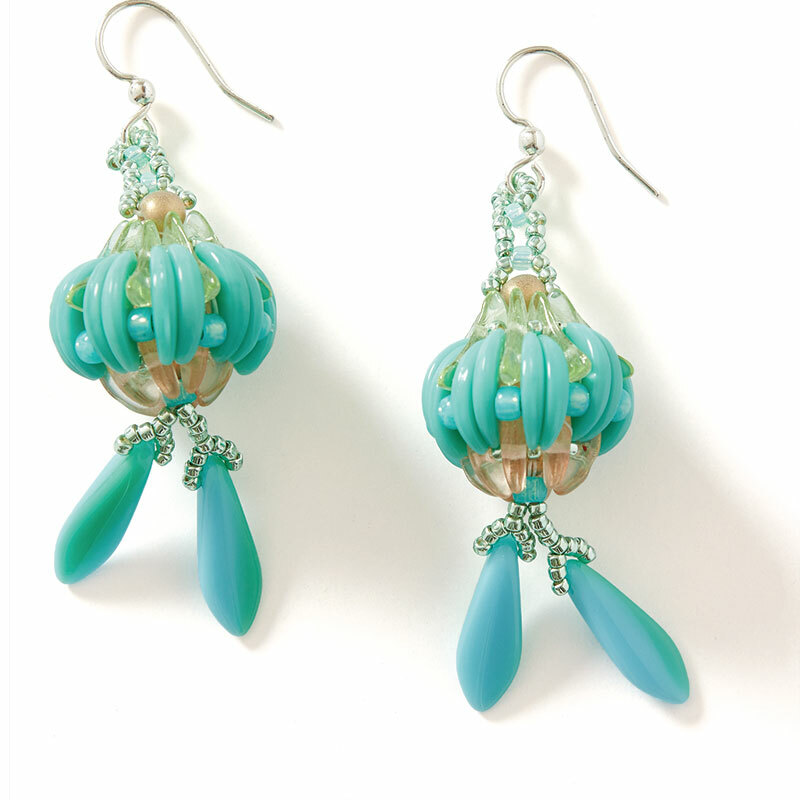 She became an Illinois Artisan in 2014, and she is an associate instructor for Art Clay World in Oak Lawn, Illinois. Contact her at agnieszkawatts@gmail.com and visit her website, www.agnesse.weebly.com, and Etsy shop, www.agnesseartistry1.etsy.com.